Toyota Tacoma 2016 - 2019 Double Cab Door Sill Kit - OEM NEW! Genuine Ford OEM Parts & Accessories 100% Satisfaction! 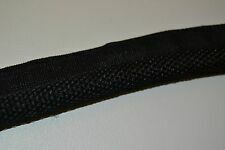 • One piece of Carbon Fiber Start Stop Key Cover. 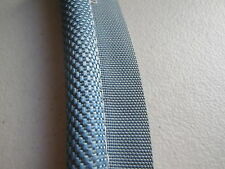 • Material : real carbon fiber. BMW 1/2/3/4/5/6/7 Series (F01/F06/F10/F20/F22/F30/F31). BMW X3/X4/X5/X6 (F15/F16/F25/F26). • Color : Red. NEW ARRIVALS. 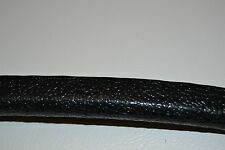 Driver Side Grab Handle A Pillar Trim Molding. 2002-2005 Dodge Ram 1500. 2003-2005 Dodge Ram 2500. Description This is a set of Genuine GM left and right door sill plates in bright brushed aluminum with "Corvette" script logo for your 2005-2013 Chevrolet C6 Corvette. Note: You remove your old sill plates with a heat gun and adhesive remover and install these by peeling off the adhesive and adhere to clean surface. Application 2005 2006 2007 2008 2009 2010 2011 2012 2013 Chevrolet C6 Corvette. Double cab only ! The part number is PT747-35161. Features include Because we are, this warranty is good at. All you need to do is show them the included receipt. Do not get ripped-off by others! 5 out of 5 stars - Toyota Tacoma 2016 - 2019 Double Cab Door Sill Kit - OEM NEW! 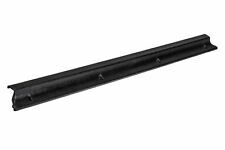 104 product ratings104 product ratings - Toyota Tacoma 2016 - 2019 Double Cab Door Sill Kit - OEM NEW! Trending at $36.99eBay determines this price through a machine learned model of the product's sale prices within the last 90 days. Premium Brand, Best Price, In Stock and Ships Fast! 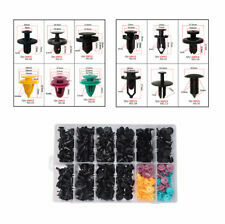 You are ordering a Matched Pair of Trim Panel Fasteners for 05 - 09 Mustang. 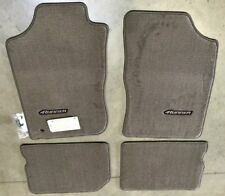 These will fit all 2005 2006 2007 2008 2009 Ford Mustang models. These are ready to install on your Nice Ford Mustang. These are used to fasten the interior plastic panel surrounding the trunk latch. Material: Made of High Quality ABS. If you don’t have the window visor and don’t want to get soaked, you have no choice but to put the windows up and turn on the A/C. While with a set of window visor installed on your vehicle, you can defy the weather and leave the windows down enough to stay dry and still enjoy the fresh air. 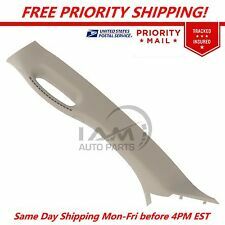 Scion xB 2004 - 2006 Nose Mask / Bra - OEM NEW! The part number is PT218-52041. Features include Because we are, this warranty is good at. All you need to do is show them the included receipt. Do not get ripped-off by others! Hood Protection. If you have this installed by a. 5 out of 5 stars - Scion xB 2004 - 2006 Nose Mask / Bra - OEM NEW! 10 product ratings10 product ratings - Scion xB 2004 - 2006 Nose Mask / Bra - OEM NEW! We carry a full line of Delco, GM, and Quality Reproduction parts and Accessories for Corvettes at Wholesale pricing. 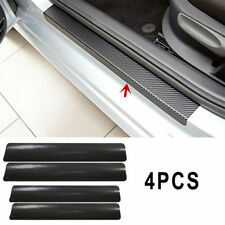 Car SUV Door Sill Guard Body Bumper Scratch Protector Rubber Pad Cover Trim 35". Compatibility issue Warranty policy. In the spring of 1982, we attended a trade show seeking new suppliers. The typical response was That's great! Do you have a dash cover for my vehicle?. Being confident and ambitious we declared Those dash covers can't be hard to make - bet we can do it. 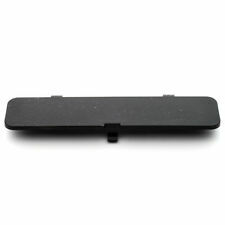 Is your 1999 thru 2006 chevy silverado or gmc sierra headliner coming loose above your drivers or passengers door?. Here is your fix. It will also drastically extend the overall life of the headliner since the wind won't be pulling at it when you have the windows down. 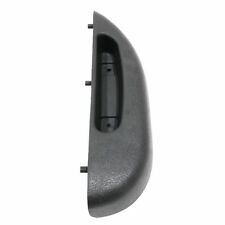 It is Light Gray in color, will fit your 2001-2004 Tacoma Drivers Side LH Seat Side Plastic. You will receive exactly what is shown in the lower pics. High Temp Professional Headliner Adhesive. 1999 to 2006 GMC Sierra 1500 2500 3500 HD. - 60" width fabric. SB2021 – Grey. SB1928 – Black Ebony. SB1755 – Saddle. SB2137 – Prairie Tan. SB2013 – Light Driftwood. NEW OEM Genuine Honda Interior Illumination RED LED. 2017-2018 Civic 2 Door Si, 4 door Si, 5 door sport, 5 door sport touring and Type R. These are a factory Honda accessory. Not sure if this will fit your car?. Stainless steel surface grinding processing, high-grade generous. Real 304 stainless steel, Never rust,Very good gloss. durable and easy to clean. One set include 4pcs. Shaped to fit the interior styling and contours. OEM GM part number 23285090. New in the box LH Drivers Side A Pillar Assist Handle. Color is Gray. PLATINUM DOOR SILL PROTECTORS. 2007-2019 TUNDRA. So you can use on the DOUBLE CAB TUNDRA'S front doors only. Custom-designed for a precision fit to the Tundra Crew Max. 2 PIECE SET, FRONT 2 ONLY. FOR ERRORS. 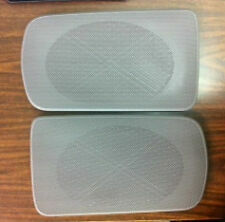 High tolerance,can be warped without distortion,durable and flexible. 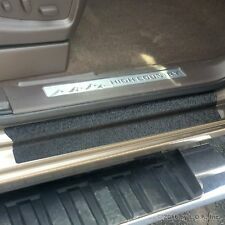 PLATINUM DOOR SILL PROTECTORS. 2007-2019 TUNDRA CREW MAX. Custom-designed for a precision fit to the Tundra Crew Max. (CREW MAX HAS THE. FOR ERRORS. WE WILL MAKE EVERY ATTEMPT TO MAKE YOUR. Quick, simple installation, Peel and stick. ).